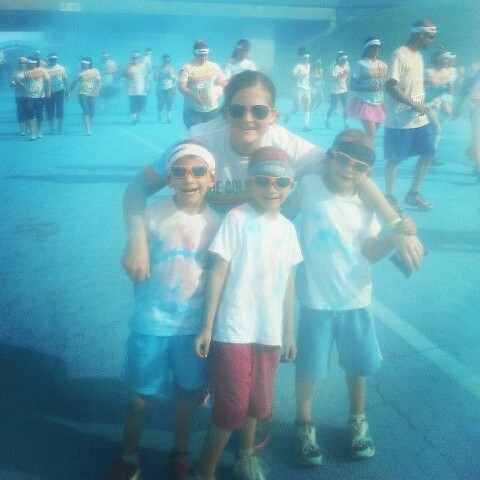 Bright and early Saturday morning, the boys and I checked off an item on our 2013 Summer Bucket List – do The Color Run! I signed up for The Color Run back in February or March, and shortly after discovered that kids 5 and under can run for free. Free?! I’m all over that! 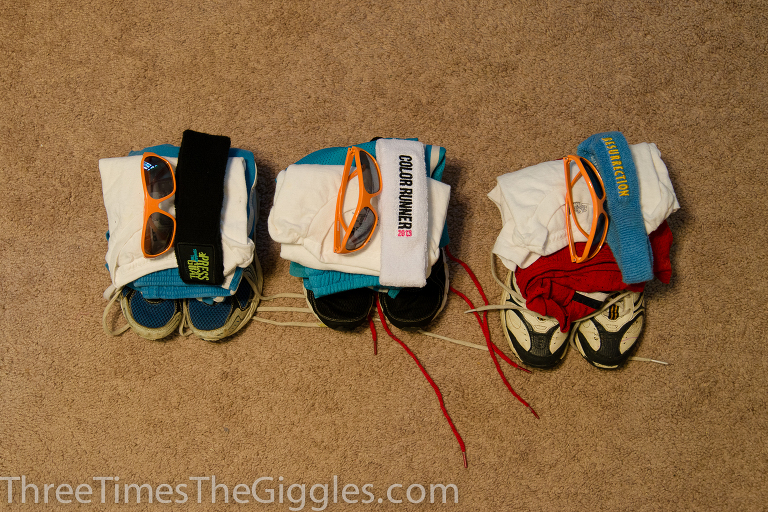 So I told the boys about the race, showed them some videos, and asked if they wanted to do it with me. 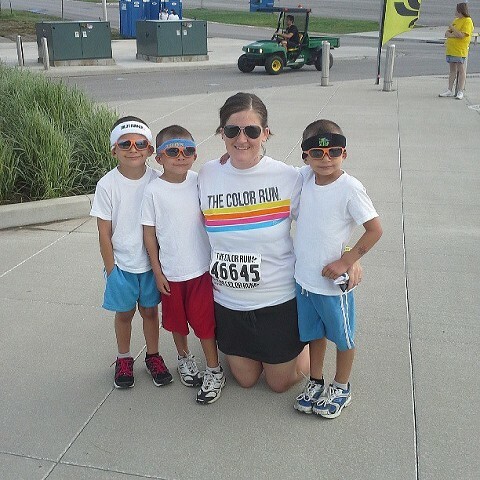 The answer was a resounding “yes!”, so I made a deal with them; if they would do some training runs with me, and could get through them without an insane amount of whining, then they could do the Color Run with me. Winter dragged on for what felt like forever here, so we didn’t get as many training runs in as I would have liked. The first couple were brutal, with a lot of whining about “cramps” (mostly from Jackson). 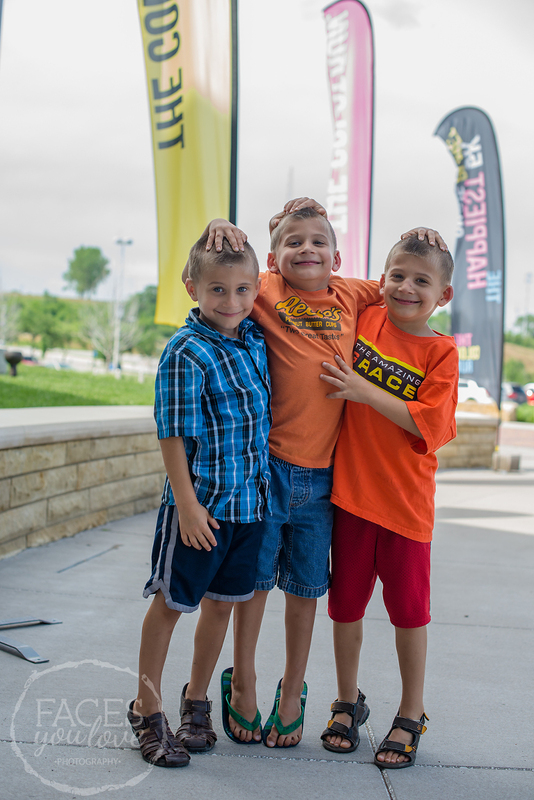 We did a lot of alternating between running and walking (mostly walking), but then in early May I saw hope – the boys made it 2.9 miles and ran at least half of it! And there was only one mention of cramps, which he pushed through. Woohoo! 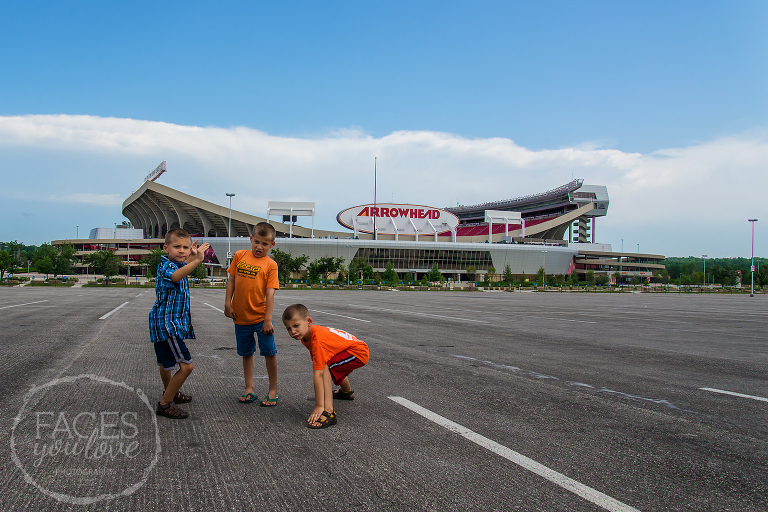 On Friday I pushed lots of water on them, we picked up my packet of stuff at Arrowhead (where the Kansas City Chiefs play, and the race would be held!) and we gathered their supplies for the race! Saturday morning they were up and ready to go shortly before 7! They were almost as excited as they were when we left for vacation last summer. We met up with some friends of mine for the race, and we all had a ball! The boys made it the whole way, and ran the majority of it. I heard no whining (except for when we got back into the car, and someone didn’t like where another had sat), and it was an awesome time. The boys declared the race to be the most fun thing ever, and are plotting on how to save enough money to do it again next year! I told them if they can come up with half of the entry fee, we’ll kick in the other half for them.